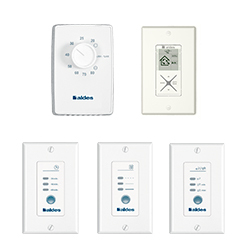 Controls for Aldes Light Commercial Heat and Energy Recovery Ventilators allow you to easily activate a variety of functions at the touch of a button. 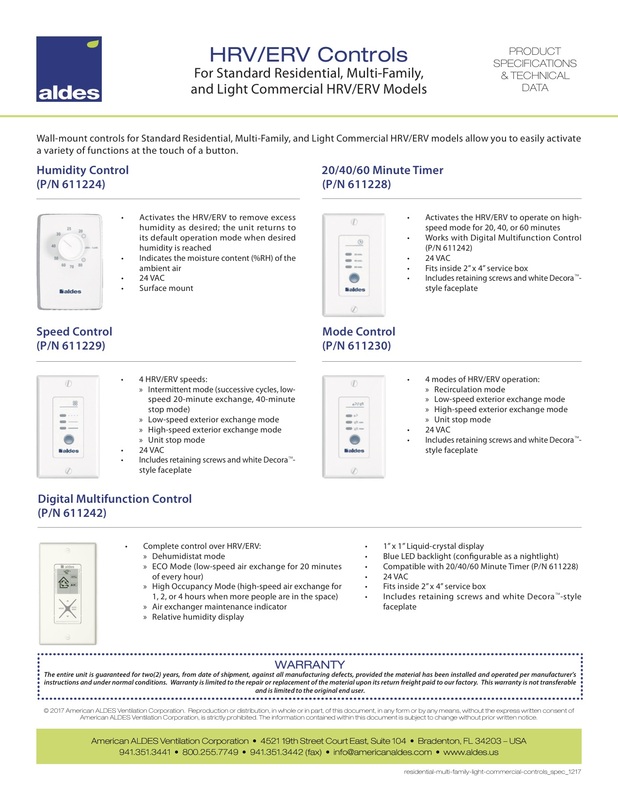 Each control requires low-voltage (24 VAC) power. The Humidity Control is surface mounted. 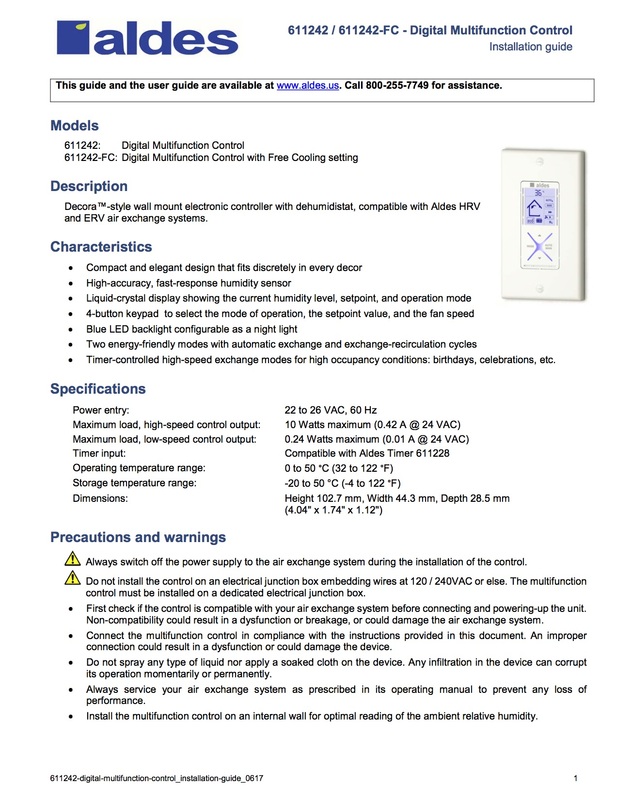 The other controls fit inside a 2″ x 4″ service box and come with retaining screws and a white Deco™-style wall plate.